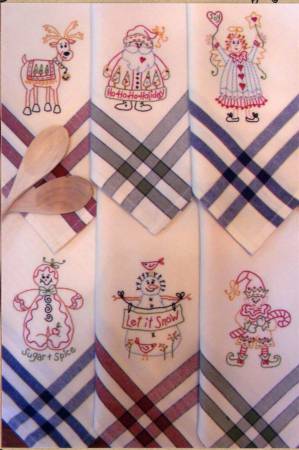 Have Some FUN this Holiday With 6 colorful Embroidered Tea Towel Designs. Enjoy using them during the holiday season or make a cute tea towel for a welcome hostess gift.....you will be the hit of the party! Quick to stitch with #8 Perle cotton and fun besides. Great to use for a Christmas project. Designs approximately - 3" x 5".